From organizing independent producers in Afghanistan into a business community competitive in a global market, to leading graduate and executive education through partnerships with top universities, we meet client needs by drawing on a deep bench of experts to analyze and execute strategic insights like no other organization can. We are the experts the experts turn to. Our strategists, planners, logisticians, operators, scientists, trainers, and educators typically have more than 25 years of experience and are published across government, business, aerospace, and defense. We work where others won’t. We’re a small business that works where others won’t. From mapping extraction supply chains in South America to supporting the medical response to the West African ebola outbreak in 2015, our team’s experience reaches worldwide. SCV’s team of experts have supported projects for nearly 50 countries and worked on five continents. We understand cross-border complexity, we understand the frequently informal nature of international logistics, and we get cultural nuances. When experts need to be deployed in challenging places around the planet, SCV is the right choice to deliver the right impact. Looking for experience in another country, or want details on our past performance? Get in touch- we’ve probably been there. is the President of Supply Chain Visions, Inc. He works around the globe solving business challenges at every level of complexity, from small/local to big/global reach- his clients range from small manufacturing and retail enterprises to multinational giants. Steve holds a BS and a Master's in Industrial Engineering and Operations Research from Cornell University and an MBA from the Johnson School at Cornell University. His performance has been recognized by the Deputy Secretary of Defense for exceptional contribution to the defense of our nation. He is a regular contributor and editor for a number of publications, most notably the DC Velocity online magazine. is an expert in business operations and transportation. He currently serves as a Director for Supply Chain Visions Inc. and manages projects and professional networks around the globe. His work includes supply chain and industrial base assessments for Maersk across the continent of Africa and the Departments of Defense and Commerce across the Middle East and Central Asia. Shawn holds a BBA from the College of William and Mary and an MBA from the University of Tennessee. He is a Certified Production and Inventory Control Manager with additional certifications in Lean Six Sigma/Continuous Process Improvement and supply chain technologies. is the ecosystem analysis and entrepreneurial development lead for Supply Chain Visions. His teams have been selected by numerous government clients to analyze supply chains across the US, Africa, and Central Asia. His teams also operated three multi-year small business training programs across the eastern US. Levi holds a BS in Logistics and Supply Chain Management from the University of Tennessee and an MBA from Radford University, as well as APICS' Certified Supply Chain Professional and SAFe ScrumMaster certifications. is a retired Marine Colonel with over 30 years of operational experience, proven leadership, and management success. He has worked around the globe solving business challenges, from small/local to regional and global reach. 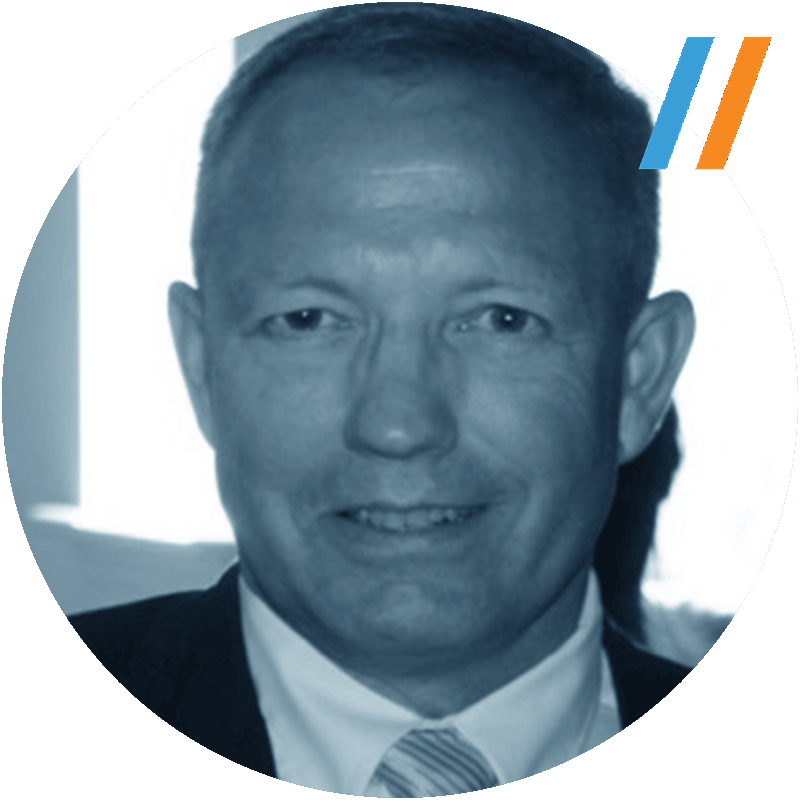 Mike has led organizations at all levels of complexity and responsibility to develop solutions that produced performance improvements and quantifiable return on investment by using proven leadership, management, and business processes. He is a writer for DC Velocity and a graduate of the University of Missouri, with advanced education from the University of North Carolina (UNC), Pennsylvania State University (Penn State), and Marine Corps University. has 30 years of professional management and process improvement experience in the private sector, the Military, and the Federal government. In the US Navy, he planned and led special operations in Panama, Korea, Côte d'Ivoire, and Iraq where he was awarded the Bronze Star for his actions. Bob executed enterprise-wide process improvement efforts, including supporting IT refresh and integration, for Fortune 500 clients such as Tyson Foods, International Paper, and Philips Petroleum. He has run stability operations in Iraq and Afghanistan. Bob holds a bachelor’s degree at Oklahoma State University and a Master’s of Business Administration through Meinders School of Business. He is a graduate of the U.S. Army John F. Kennedy Special Warfare Center, Civil Affairs School and the Special Operations Planning Course. brings 30 years of experience in both large and small companies, public sector and private sector, both in the United States and internationally. He has been involved in several start-ups as a member of the management team. Gerry spent several years, as part of a U.S. government economic development effort, working with businesses in Iraq and Afghanistan. Prior to joining Supply Chain Visions, Gerry held management roles in operations, finance, and sales and marketing at Chase Manhattan Bank, IBM, Accenture, HP and Black & Decker. He holds an MBA from the Yale School of Management, a B.A. from Amherst College, and an Advanced Certificate in Economics from the Fundacao Getulio Vargas in Rio De Janeiro, Brazil. Currently on a leave of absence, is on active duty as a Colonel in the United States Army. Rose is attached to USCENTCOM where she is the Acting Director, CENTCOM CAG (Commander's Action Group). Prior to connecting with the Supply Chain Visions Family of Companies, Ms. Keravuori was a Director of Business Development for a large prime contractor in the Washington DC area, with a focus on stability operations. Prior to the business development role, Rose held numerous positions, including Program Director with P&L responsibility. A graduate of West Point, Rose also has a Master’s Degree in International Relations from the University of Oxford and Master’s in Strategic Studies from the U.S. Army War College.